I haven't blogged in a while or worked on my candles and I thought I'd write a short blog post about the sad reason why. 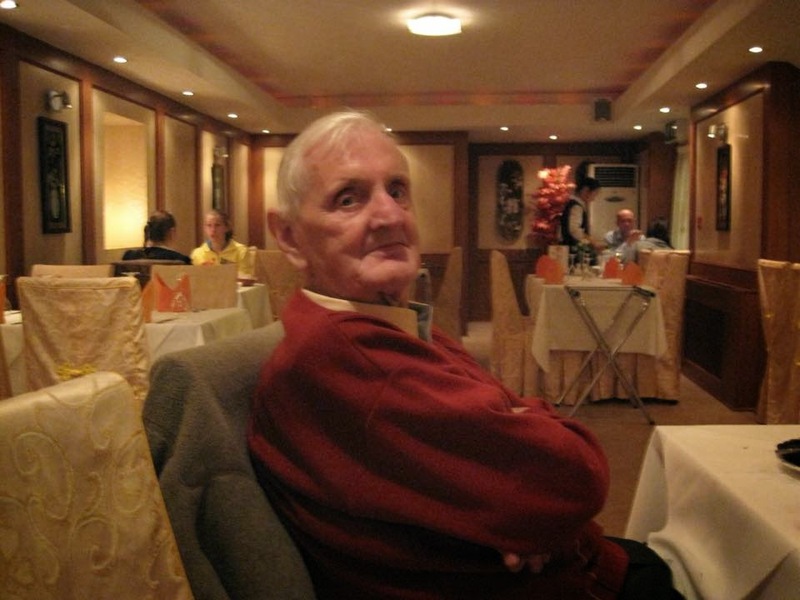 My Dad was taken into hospital in April, he'd had a stroke some years ago and then kidney problems ever since. I suppose I could see that he was getting elderly and frail but I guess you don't ever really want to admit that your parents are getting old. It's a scary thought at the back of your mind - that they won't be around forever, that the passage of time is inevitable and unrelenting and I for one really didn't want to face up to that reality. This time though, for some reason, I really sensed that it was different, I was instantly scared when I heard that he was in hospital and although I can't explain why, I had a strong sense of what was to come. 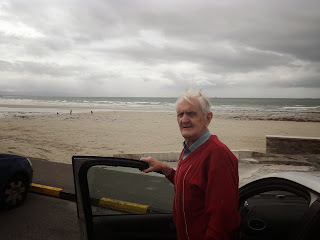 I visited every couple of days, tried to help my mum as she doesn't drive and a 4 hour round trip to Blanchardstown via bus wasn't really an option. Dad was moved to Intensive Care briefly and then Coronary care - in both wards, the nurses were absolutely fantastic and couldn't have been kinder which made things easier. After a period of time it became clear that Dad wasn't going to make it and the medical staff explained that his kidneys had failed and that they had run out of options, so the only way forward was to keep him comfortable and pain free. To be honest, although it was made completely clear, it just seemed like words, like something that wasn't really going to happen and I couldn't really take it in. I don't think any of us really properly absorbed it, especially as Dad seemed so cheery when we saw him. He was of a generation and a character that abhorred complaining so he was smiley and chatty as much as he could be and we kept up the pretense that he would be coming home in the hopes that he wouldn't realise how bad things were. So weeks were spent in and out of hospital, in a blur, drinking hospital coffee, making sure to have a constant supply of coins for the parking, it became a strange little necessary routine until the day my Mum texted me in work, saying that the hospital had called and that she was to come in. It was a shock, a huge one, the moment was near and I wasn't ready. The next two nights were spent in the hospital - my brother arrived from Kerry that evening and my Aunts were on hand also. It was strange and surreal, the emotional overload and lack of sleep made everything a little blurry and dreamlike. My Dad hung on until the 1st of May, he always loved the Summer and sun and he was incredibly stubborn so wasn't going to give in so easily. Myself and my brother and my mum were with him right until his last breath in the early hours of the morning and I was holding his hand, something I will be forever grateful for because in some way I felt I was with him on his journey. 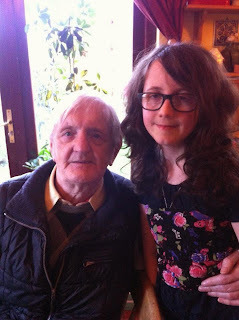 I will miss him so much and although I hesitated to write something so personal and difficult, I also wanted to mark this time and have a way of remembering some little things - his smile when I visited, his delight with the cards my girls made, the little moments we got to share before he finally said goodbye. Dad in a restaurant in Portarlington, he always loved his food!